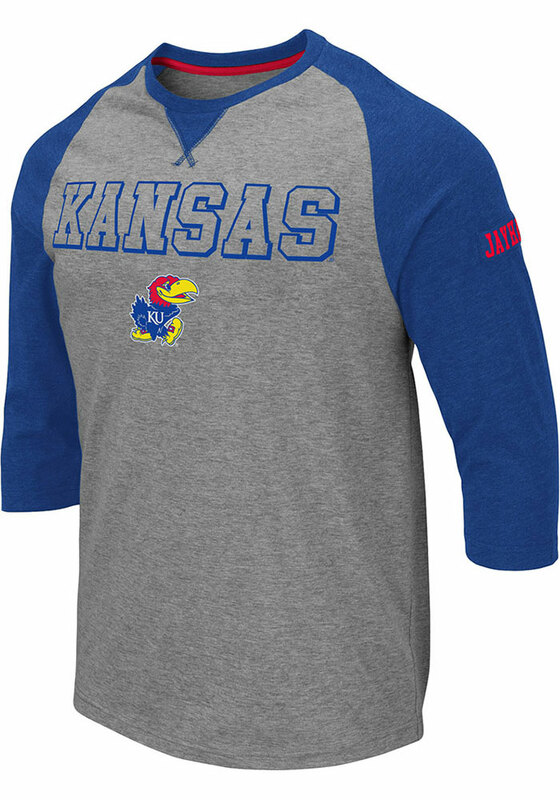 Support your Kansas Jayhawks in this Grey Long Sleeve Fashion Tee! This Soledad Fashion T Shirt features a team name and mascot in washed out screen print on front chest with team chant in embroidered patch on left sleeve. 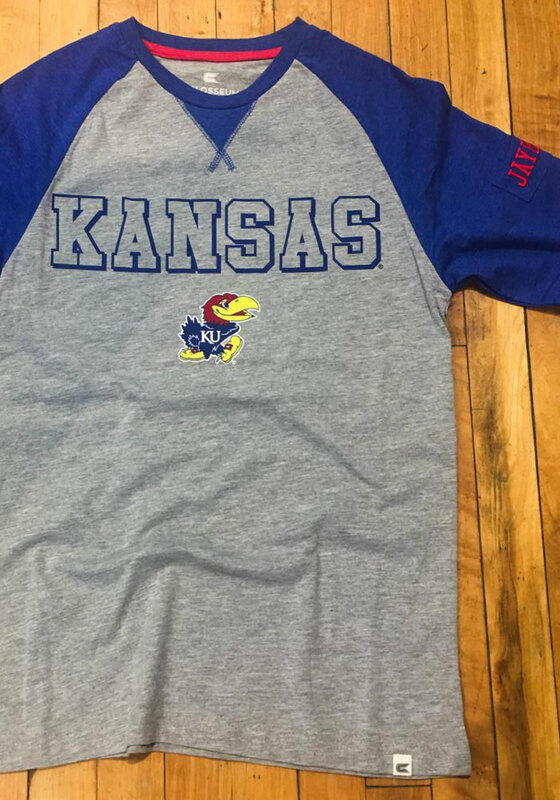 Be ready to shout "Rock Chalk Jayhawk" when you wear this KU Jayhawks Long Sleeve Fashion T Shirt in the stadium or on the street.